Different Canary varieties (termed “types”) first developed quite by accident. Canaries arrived in Europe in 1478, when they were taken to Spain from their native habitat on several islands off Northwest Africa. 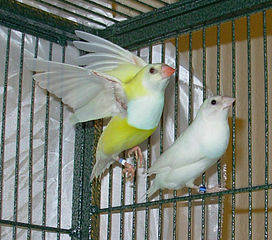 As the Spanish sold only males and travel was difficult, Canary owners usually bred related birds to one another. 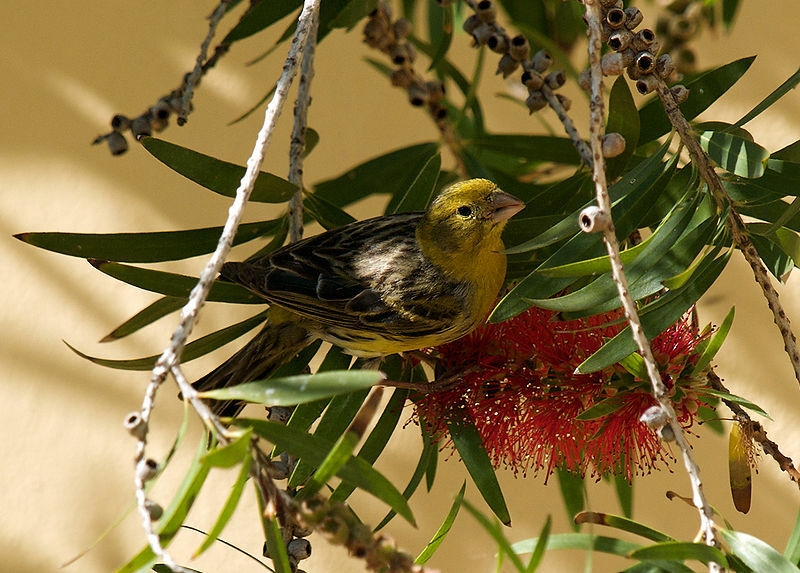 This increased the likelihood of mutations, including the yellow coloring that is now considered to be the Canary’s “normal” color (wild Canaries are actually greenish-brown). Widespread selective breeding for specific plumage, posture, song quality and even behavior took hold in Italy in the early 1600’s, and soon many regions were creating unique Canaries. The first guide to Canary types, published in 1709, listed 29 distinct varieties. Today there are hundreds, and the places where they originated, i.e. Paris, Gloster or Makige, are often included in the type name. One of the earliest types known, the Lizard Fancy was developed in France in the early 1700’s. Rounded markings on the back, said to resemble a lizard’s scales, lend this bird its name. A susceptibility to feather cysts nearly caused this type to disappear, but the problem was eliminated by crossing Norwich Fancies with Border Fancies. Cayenne pepper, fed to this type as a tonic, caused red to appear in the feathers, and ushered in the concept of “color-feeding”. 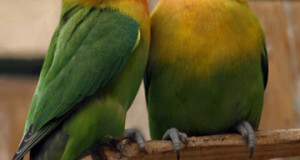 Glosters, available in crested and un-crested forms, exhibit unique behavioral traits, and are considered much easier to train than other Canaries. At 10 inches in length, the Italian Giant is the largest of all Canaries. 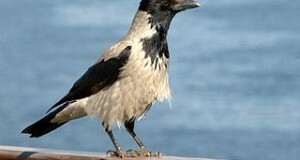 It displays the wild, “disordered” plumage typical of most frills. This type is, unfortunately, facing some problems…inbreeding has left many individuals with un-feathered breasts and upper legs. Colored Canaries (outside of yellow mutations) arose when it was discovered that certain foods brought out a reddish tint in the feathers. Color-breeding really came into its own when Red Siskins (Carduelis cucullata) – gorgeously colored birds native to Venezuela and Columbia – were crossed with Canaries (please see photo). 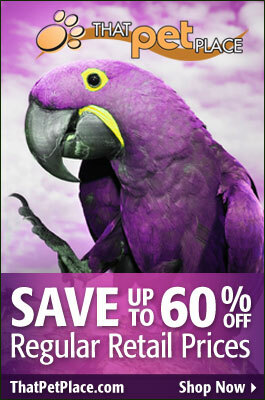 Color types are among the most popular Canaries. “Intensive” red and yellow individuals are startlingly bright, while silvers and rose-browns exhibit a more subtle beauty. German breeders were the first to focus on song quality. The types most popular in Europe today – Hartz and Timbrado, originated there. Roller Canaries are the best known singers in the rest of the world. Judges at shows analyze “rolls”, “tours” and a variety of other song characteristics in making their decisions. Singing Canaries are held in darkened cages until just before their “performances”, and owners use a variety of sounds in order to encourage them to sing. Please see The Odd History of the Canary for more on the Canary’s unique story. Please check out this video for a sample of some fine Canary singing. This is really an amazing work of nature. Such a beautiful color matching scheme in this bird. Lovely to watch. I agree with your sentiments and look forward to hearing from you in the future. Many year ago, my grandfather, Frank Noth, raised canary’s. He won many awards and sent his birds around the world. While going through some old letters, I found one from a gentleman in Brazil and he said that the “Noth Strain” was one of the best he had heard. Is there any place that I could find information on this? Thanks for the most interesting note. Unfortunately, I don’t have any direct leads; I’ll contact an ex-Bronx Zoo coworker of mine, who was involved in private breeding in the 40’s and 50’s, to see if he might have some ideas. Good luck and please let me know how you fare; I’ve tracked down similar leads as regards my own grandfather (but dealing with seahorses) and would enjoy any updates. I’ll be in touch if I learn anything further.